This is possibly the coolest sento I have ever seen. Just had to share this post from the Letters From Daiba blog with you all! 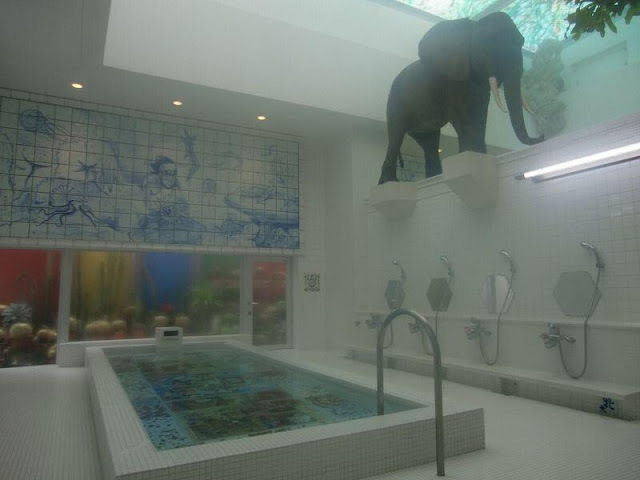 Is this not the most fantastic public bath ever? The tub ever has photos and illustrations drawn on the bottoms. I don't think I've ever see that before - very cool!